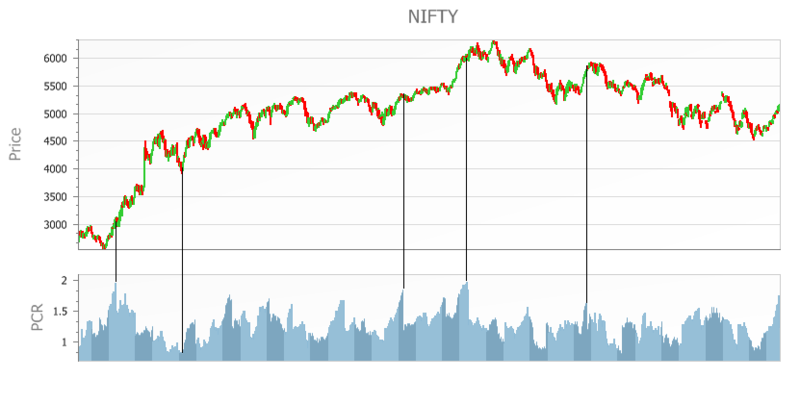 Nifty and PCR – 3Year Historical charts are shown. PCR simply reveals investor sentiment. For Nifty PCR above 1.5 indicates optimistic investor sentiment i.e more puts are written when compared to the calls and PCR below 0.8 indicates extreme pessimistic investor sentiment i.e more calls are written when compared to the puts. Do you think PCR can be used as a forecasting tool in predicting the market behavior? Can you please provide data in Excel format.